Christians attend Sunday Mass services, Muslims do prayers on Fridays at Mosque, Hindus visit temples often or on special festival times. But each Hindu family in India has a temple location tied to their ancestry. I find this tradition unique and interesting. Paternal side tutelary Deity is passed on the next generations while maternal side is also kept as secondary Deity, in some practices. 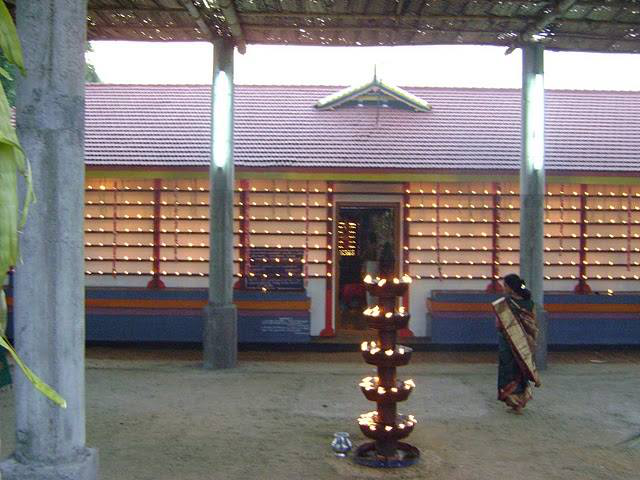 South Indian tradition on ‘Kula Theivam’ (family deity) has the same temple worshiped by many generations. It’s believed that fore-fathers prayed in those temples and left the good energy for the next generations. Another belief is that souls of fore-fathers (Hindus believe in re-births) stay in these places till they take the next re-birth form. People visit their temple often (or) at least once a year during annual temple festivals. Probably you can connect with previous generations without the need for a ‘medium’. There is also a subtle connection to Hindu philosophy on lineage, where paternal births are connected to the Vedic Rishis. Devotees of the temple take care of the ongoing maintenance and renovations. They send funds to the temple after any important family functions as a token of gratitude and respect. The Deity information is passed on to children from parents, there are also ways to predict them based on one’s horoscope (by an expert in Vedic Astrology). Similar concept exists in the form of ‘Kaval Theivam’ (Protector deity). These are Deities in the form of community protector, typically located on the outskirts of the villages/cities and in-between the cities/villages. In Tamil Nadu (A State in India), they are known as Ayyanar, Karuppu Sami, Angalamma, etc. It is believed that these Gods shoo away all evils and devils from entering the village. These places will have big statue of Gods with weapons like swords, knives and other protective weapons. There will be statues of Goddesses, and animals in these temples. Animal sacrifice is practiced in some of these temples on important festival days. Social issues are discussed in these places when the entire village assembles and decisions are taken based on the ‘blessed words’ coming from the priest.